Building skills for student life, one step at a time. Our Boarding Program goes beyond a bedroom and meals. 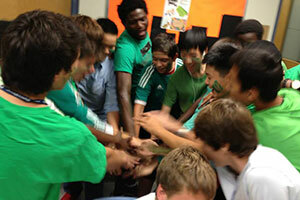 Rather, we are a youth development program focused on boarders’ self-improvement. We provide a safe, active, and inclusive living environment where students strengthen their life skills in order to succeed in school and mature into responsible global citizens. We believe that learning continues long-after class is over, and we strive to provide fun, engaging activities that build character and creativity. Youth from across the globe meet to form a community that strives for tolerance and understanding. Through the guidance of the youth advisor team, students learn how to deal with differences and foster respect and friendship amongst each other. Boarding life is structured and supervised, while allowing students to have good amount of independence. 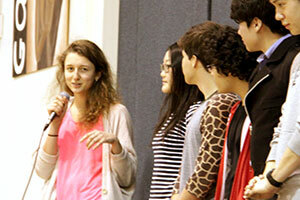 Students are encouraged to interact with their youth advisors and participate in the activities they organize. Our youth advisors strive to teach students the fundamentals of growing into a successful, independent person. Youth advisors come from a range of professional backgrounds that give students a variety of perspectives to familiarize themselves with. Safety of our students is always the number one priority of the Boarding program. Bodwell's facilities are monitored and staffed 24/7 with recorded, electronically controlled entry / exit access, set curfews, an on-call nurse, and a team of advisors with first-aid training. We expect our boarders to seek out new experiences as opportunities to grow and build character. This means participating together in organized activities and outings. We fully expect each student to become an active community member and through experience to grow as a resilient human being. Every week, there are activities and outings arranged for boarders to gradually push their boundaries and expose themselves to unfamiliar places and interests. These include such drop-in events as cooking lessons, sporting competitions and musical performances, usually held on campus. Also included are more formal clubs with such diverse offerings as martial arts and photography. Our supervised outings bring groups all over the local region to join cultural celebrations and sporting events. 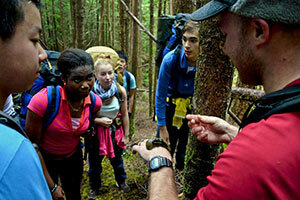 More adventurous students may even take advantage of carefully-planned wilderness trips offered several times each term. Clubs that are instructed by widely-recognized coaches with such diverse offerings as martial arts and photography. 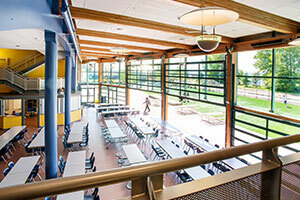 Students can participate in cultural and sporting events, and enjoy the natural beauty of the Pacific Northwest. 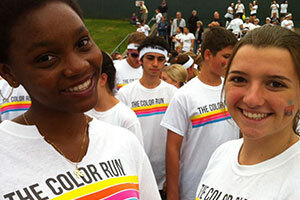 Many students join service outings to volunteer with local organizations and extend goodwill. There's always something happening on campus. From sports to cooking classes to music performances, there's something for everyone. Learning extended beyond the classroom. While students learn academic skills and content in their school classes, during the evenings and weekends boarders receive close support from professional youth workers to develop their life skills. Life skills are essential for students to be able to take care of themselves, maintain healthy relationships with others, and make positive contributions to their community. Students reflect on their progress and are given frequent feedback by advisors both on areas of strength and skills needing improvement. In order to support students’ development of life skills, we offer a number of ongoing opportunities for focused learning. These include workshops on relevant topics from visiting experts, individual guidance from our specialized staff, group discussions at weekly meetings, and access to information and resources on a broad spectrum of issues important to young people. A focus on physical well-being, including personal hygiene, diet, and exercise. Practicing conflict resolution and fostering greater empathy and inclusiveness. Creating mature, young adults through structure, routine, and responsibility. Giving opportunities to demonstrate volunteerism, duty, and courage. Students are given periodic feedback by advisors on these four areas. Twice each school term, progress reports measuring these areas are sent to students and their families to summarize observations and highlight strengths and weaknesses. We support students in these areas by offering ongoing opportunities such as topical workshops from experts, individualized guidance, weekly group discussions, and resource materials on key issues important to young people. We support our youth in moving toward greater self-sufficiency while helping them connect with one another in a vibrant community. 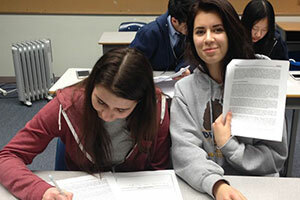 For students in the Boarding Program, there are two potential paths for their time at Bodwell. 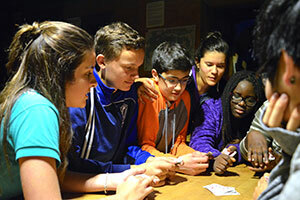 Enjoy and benefit from the boarding community in as many ways as possible. There is an important condition for students to stay in the Boarding Program. Students must become and remain an active member of our community. They must regularly join activities, follow boarding expectations, and make a strong effort to learn life skills. 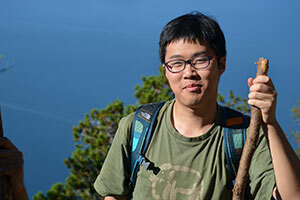 Grow to be more independent and move out to homestay when ready. Students who have a successful record of competence in their life skills are eligible to live with a Canadian homestay family. 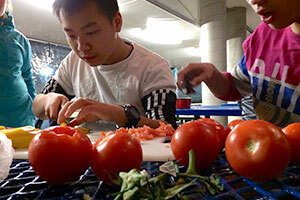 Homestay life tests students with expanded responsibilities. Upon departure, students who have shown the highest level of life skill achievement are rewarded our prestigious Life Skill Certification, a testament to a student becoming a great role model in all areas of community living. There are more than 25 professional youth workers who function together to provide supervision and support to our boarders throughout the week and late into each evening. Advisors are responsible adults who possess university degrees and diverse professional backgrounds such as teaching, social work, and counselling. Most advisors have experience living abroad and can more easily empathize with our boarders’ feelings and perspectives. In order to provide guidance in a boarding setting, advisors are used to taking on multiple roles: sometimes a warm-hearted companion to a lonely student or an authority to handle student behaviour, and other times a facilitator of roommate conflict, or a role model of ethical conduct and healthy, active living. Often times our advisors can be a warm-hearted companion to a lonely student. Our advisors are disciplinarians when handling difficult student behaviors. 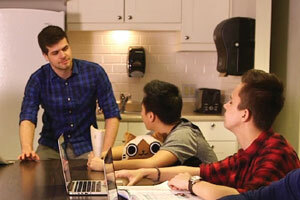 Our advisors are mediators, defusing and resolving conflicts that can occur amongst roommates. 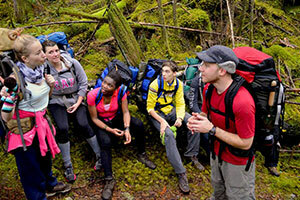 Our advisors are coaches that help students in developing life skills. Our advisors are role models of ethical conduct and healthy, active living. Our advisors know their stuff in subjects ranging from the academic to practical street smarts. Our highest level of student leadership. 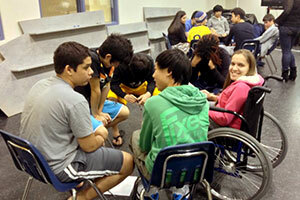 Prefects serve as role models, leaders of activities and events, and assist youth advisors in counselling their peers. They are provided special training on various leadership topics. Prefects also supervise student volunteers, gaining experience in management and effective communication. Any boarder may apply to join this internationally-recognized skill-building program. The award is seen by universities and employers as highly valuable and can be used for school credit toward graduation. Participants earn this award by recording their efforts in service, physical recreation, new experiences, and the development of specialized skills. Each term, boarders have the chance to become a community job volunteer. They gain work experience hours toward school graduation requirements as well as a sense of duty and purpose. Jobs are a commitment of several hours per week and can range from serving the evening snack, assisting with curfew check, and helping with activities and outings. Joining the Boarding Program allows young people from across the globe to contribute to a genuine community of diversity. 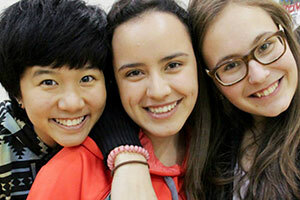 Boarders often have friends from a wide number of cultures and backgrounds. To facilitate cross-cultural friendships, we make every effort to arrange for students of different languages to share a bedroom. While the boarding community cannot replace a students’ own family, we seek to serve as a warm and caring home to students while they are living here. Safety is paramount. Parents can feel assured that so long as their child closely follows our expectations, they will be kept as safe and secure as possible while living far away from the comfort of home. Staff carefully monitor students’ health, emotional state and behaviour and are ready to assist with emergency situations. Boys and girls live in separate halls on different floors and wings. Each hall is a small neighbourhood run by an advisor, who acts as a boarding parent, looking after the needs of each student. Each hall has an office for private conversations and mentorship from staff. 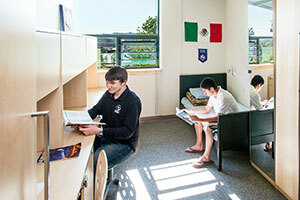 All halls feature a student lounge with a kitchenette, along with common bathrooms, laundry machines, and storage. Healthy, multicultural cuisine is served daily along with an evening snack. There are always several entree choices for dinner and are accompanied with a fresh salad bar. We expect students to eat with other students and staff each day and develop a healthy relationship with food, and even learn some basic food preparation skills. All bedrooms have windows for natural light and most have breathtaking views of either the waterfront or the mountains. Boarding staff determine room assignments according to factors such as age, first language, and personal habits. Bedrooms vary in design and number of roommates, with most ranging from 2 to 4 boarders. Each student has a bed, desk and wardrobe for their belongings. Housekeepers look after cleaning of beddings as well as overall sanitation, while our Dorm Matron inspects rooms for tidiness. 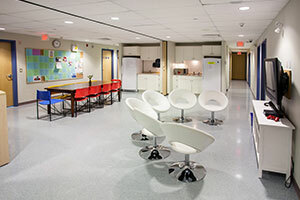 Students are expected to do their own laundry and maintain a clean, organized space at all times. For all boarding matters, you can contact the Boarding program, 24 hours a day, 7 days a week at 1-604-998-5150. For all other non-urgent enquiries please E-mail.